An Indonesian passenger plane was momentarily grounded after a spontaneous passenger uprising, Antara reports. 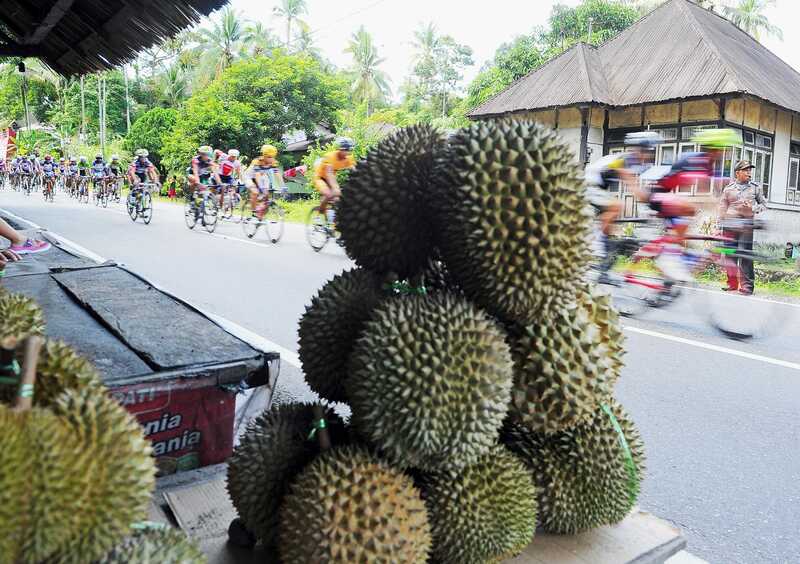 The pungency of the notorious tropical fruit durian is to blame, with passengers refusing to share the flight to Jakarta with some two tons of the fruit squeezed into the cargo hold. Indonesia’s crisis prone aviation industry suffered a decidedly minor setback on Monday after a Sriwijaya Air flight laden with durian was delayed when passengers revolted. A reporter with the Indonesian media group Antara, who happened to be on the plane, said passengers became agitated upon encountering the scent of durian wafting through cabin before takeoff. Passengers soon began leaving the cabin to mill about on the tarmac, refusing to board the flight until the source of the stench was removed, the publication said. If you’ve stumbled innocently across a durian, you will in all likelihood remember its potent mix of aromas. Even with the thick spiky husk intact, the unnatural Asian fruit has such a fearsome, unrelenting stench that it’s widely banned on most major airlines, mass transit systems and public places across Asia. Sriwijaya Air senior corporate communications manager Retri Maya released a statement in response to the reports, justifying the airline’s decision to carry the durian. Sriwijaya attempted to rationalize the airline’s decision to take on two tons of the cargo by pointing out no laws were broken.